This is an Adult Admission Ticket after the $10 Early Bird Price ends on April 19th. 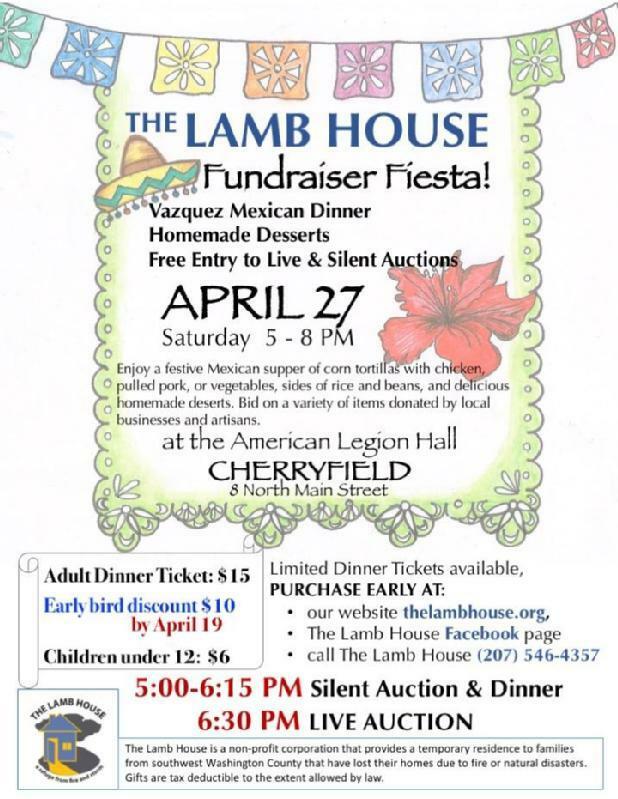 Your purchase is a donation that will help repair the damage to The Lamb House and put it back into service to the community. Price of dinner tickets: Adults $15. Children under 12: $6. SPECIAL EARLY BIRD PRICE $10 if purchased by April 19. Tickets Purchased Online Will Be Available At the Door The Night of the Dinner. Ticketholders will automatically be entered in the door prize competition. 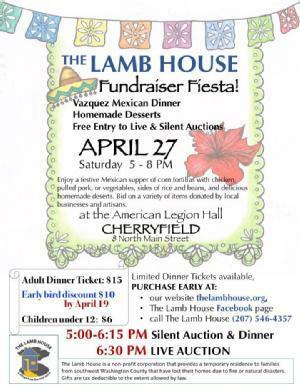 Dinner, prepared by the Vazquez Mexican Takeout , starts at 5PM. From 5PM until 6:15PM you can inspect and bid on Silent Auction items displayed around the room. Hot chocolate and chocolate desserts will be served (and non-chocolate desserts as well). The Live Auction starts at 6:30PM. You do not need a ticket to bid on the auctions.